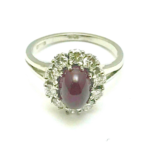 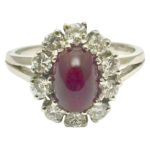 A cabochon natural ruby and round brilliant diamond 18 karat white gold ring. 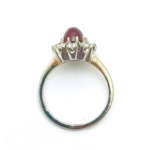 The ruby is 2.46 carats, prong set, with ten diamonds surrounding it. 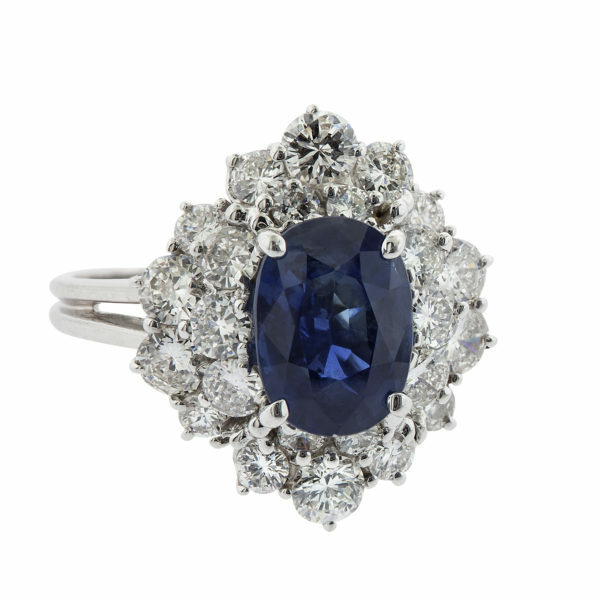 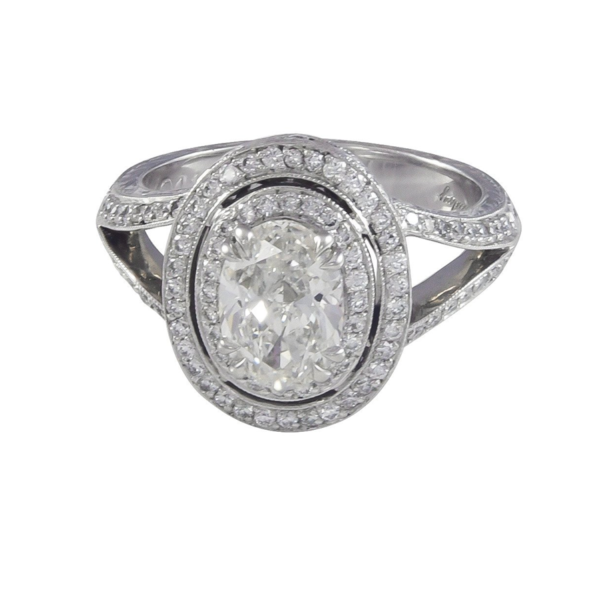 The diamonds have a total carat weight of 0.70 carats, and are graded as G color, VS clarity. 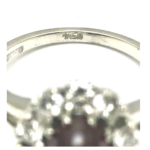 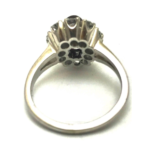 The ring has a split shank.